Business travelers have many options for accommodation in and around Bhosari. There are two renowned hotels in Bhosari which offer excellent accommodation facilities including the Yash Hotel in the MIDC area of Bhosari and the Ashtavinayak Residency near the Kasarwadi Railway Station in Bhosari. 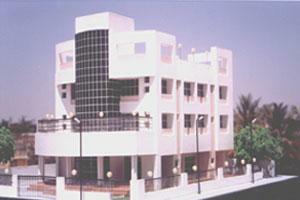 Yash Hotel is one of the best hotels located in the MIDC Area of Bhosari. Yash hotel in Bhosari is very popular among the business travelers and visitors for its modern architecture and friendly hospitality. The house guests of Yash Hotel are who's who of the corporate and financial world who take a trip to Bhosari for visiting the industrial hub. Many ministers and political leaders too stay at Yash Hotel. Due to its proximity to financial centers, industries, International trade fair ground and the corporate centers; Yash Hotel offers ideal accommodation in Bhosari. Yash Hotel offers excellent accommodation facilities with its fully furnished A/C Deluxe and elegantly furnished executive rooms. Each and every room of YASH Hotel is exclusively furnished and loaded with all the modern amenities.Yash Hotel offers various facilities including Dining Hall, Restaurant and Bar, Permit Room, Conference Hall and meeting rooms. Ashtavinayak Residency in Bhosari offers world class accommodation facilities to its guests and is one of the reputed hotels in Bhosari. Ashtavinayak Residency is located at the distance of 5 minutes from Kasarwadi Rail Station in Bhosari. Due to its location on the MH-50 Pune – Nasik Highway, Ashtavinayak Residency forms a prime accommodation facility for the business travelers. The rooms offered by Ashtavinayak Residency include Deluxe rooms, Super Deluxe rooms, Family Suites and Dormitories. Thus guest gets to choose from a wide variety depending upon their budget. Each room of Ashtavinanayak Residency is fully furnished and has all the modern amenities. The facilities offered by Ashtavinayak Residency include room service, dining hall, conference hall, restaurants, permit room, housekeeping, and laundry services. 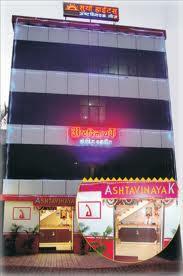 Ashtavinayak Residency offers ideal accommodation in Bhosari.